that I made with Hello Kitty! Hope you liked my cute project today! Very cute love Hello Kitty! LOVE your Creativity..this I so CUTE & FUN!!! 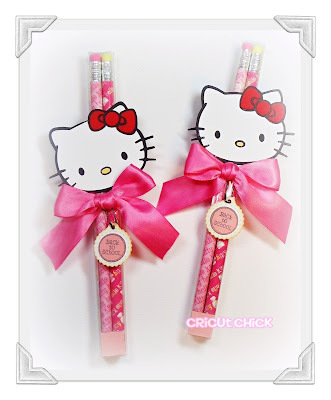 As always,These are so cute...Love that pink ribbon...Great job ! !